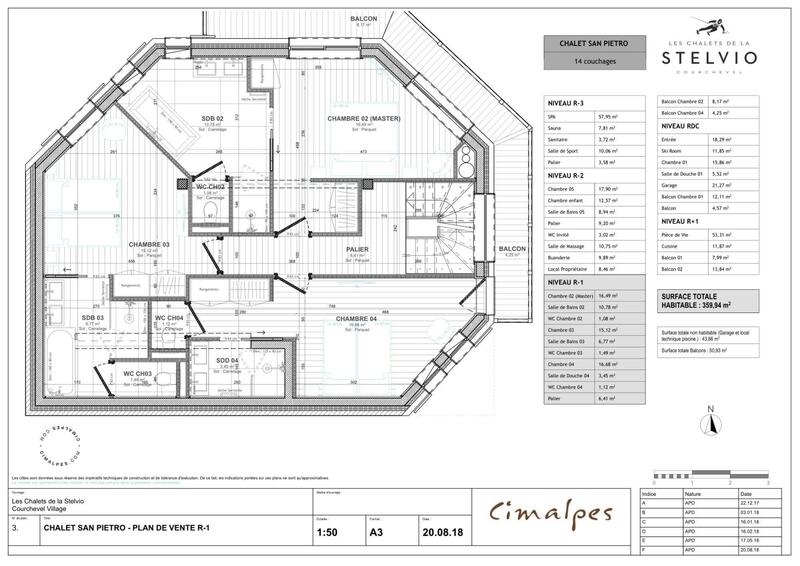 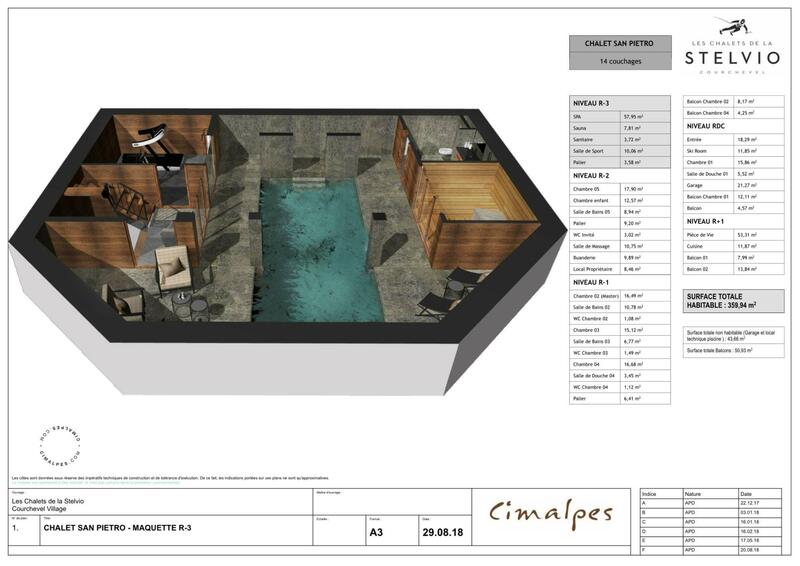 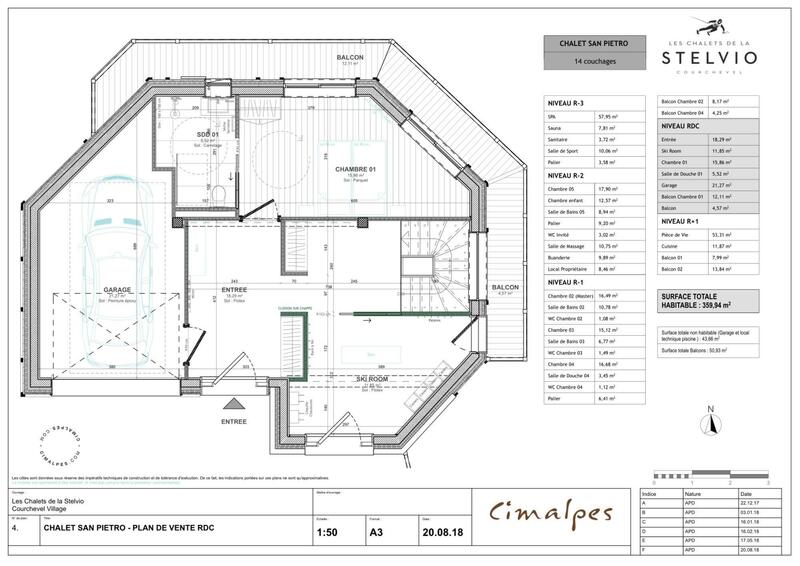 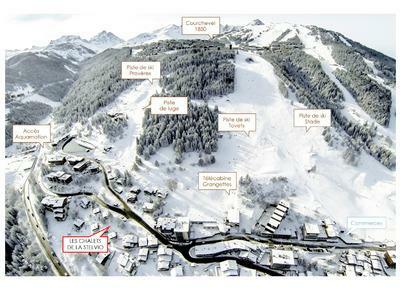 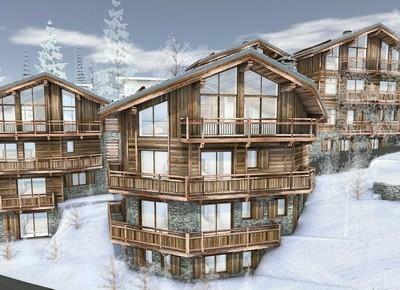 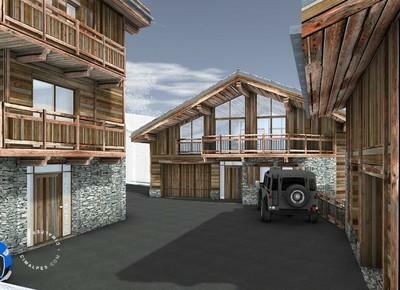 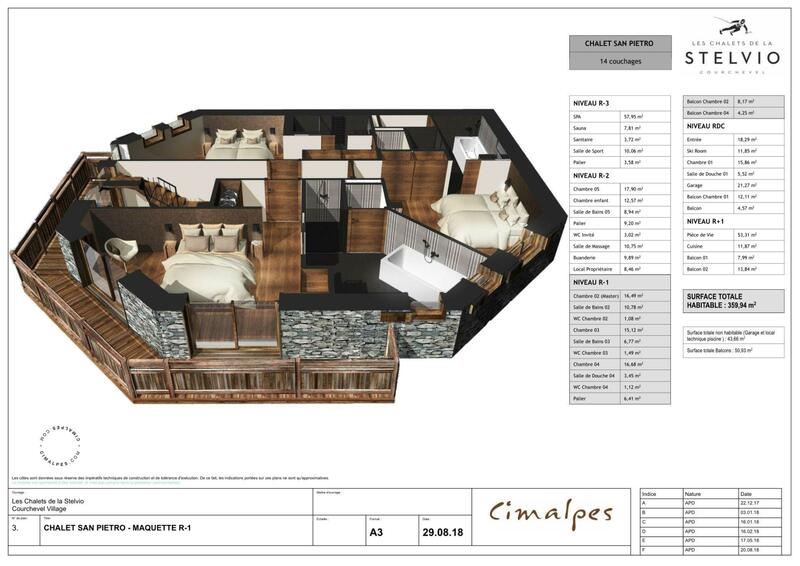 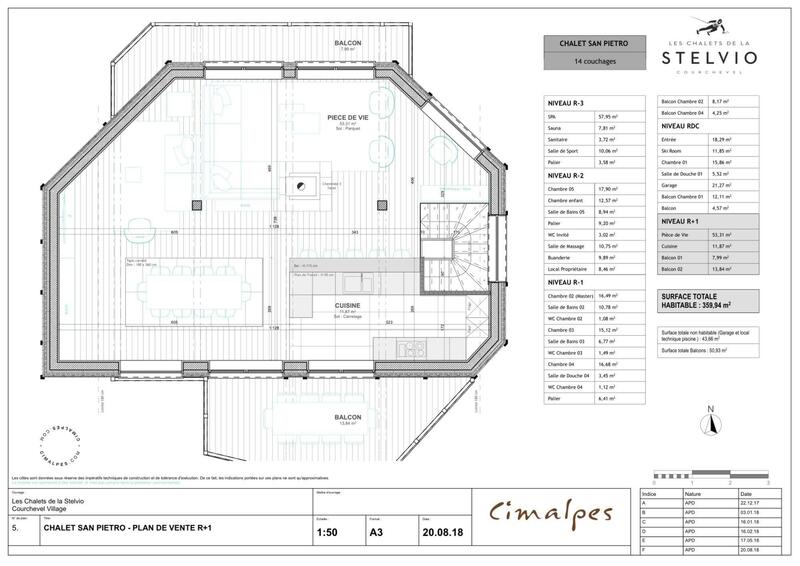 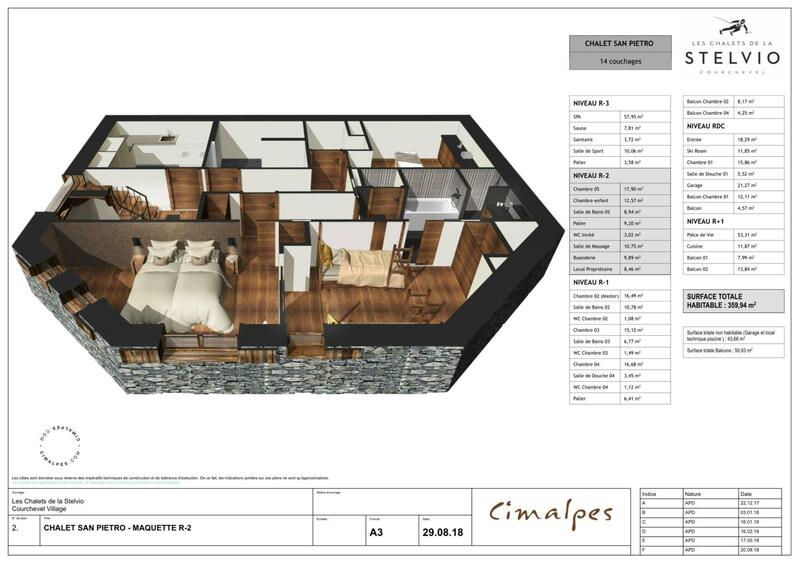 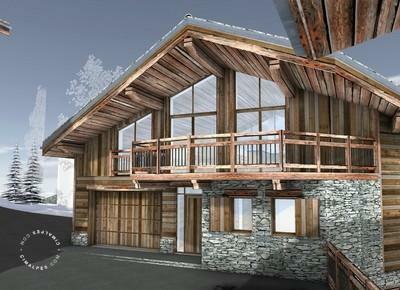 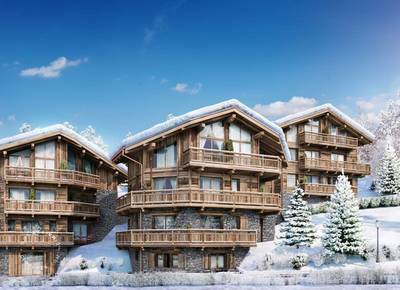 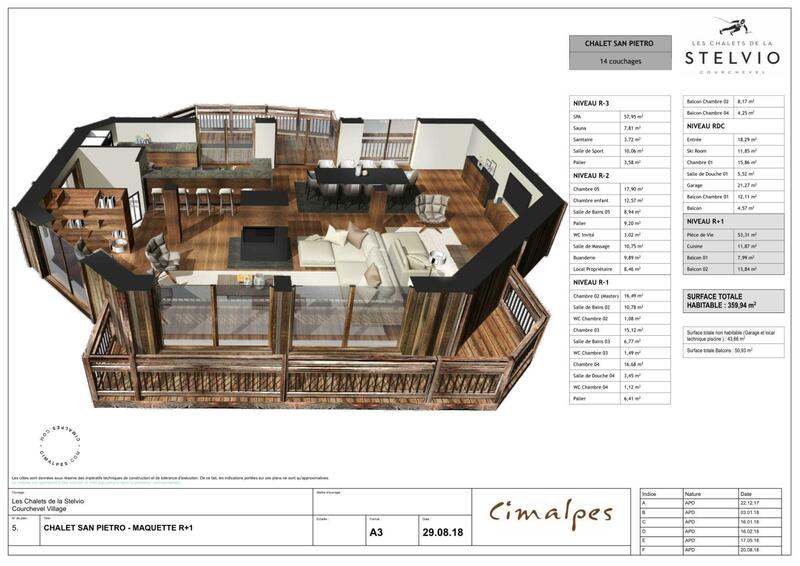 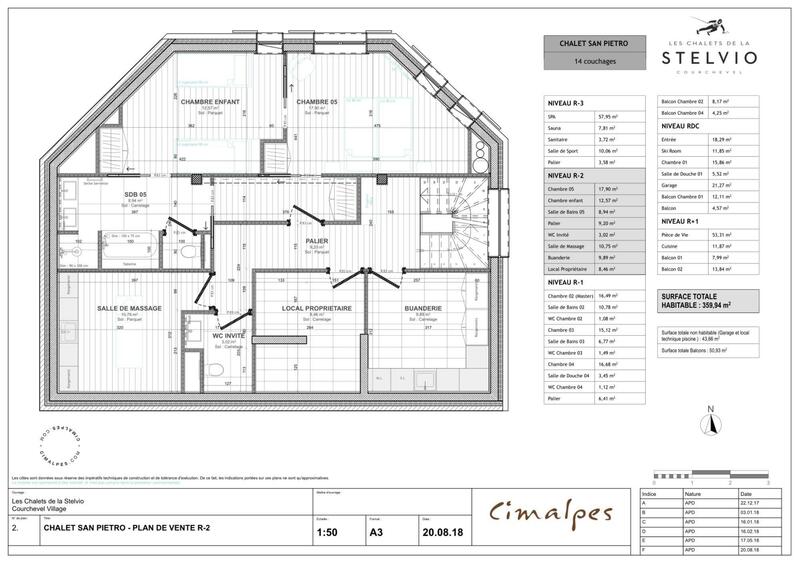 Cimalpes presents in exclusivity this new exceptional program located in the center of Courchevel Village. 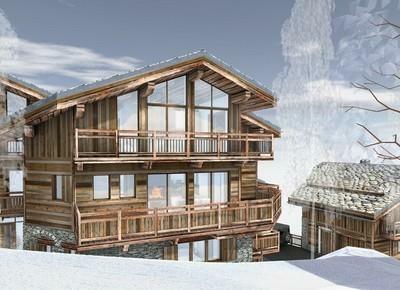 Built on 5 levels, this sumptuous chalet offers generous volumes and a very spacious living room on the top floor, under the frame and offers a magnificent view of the peaks. 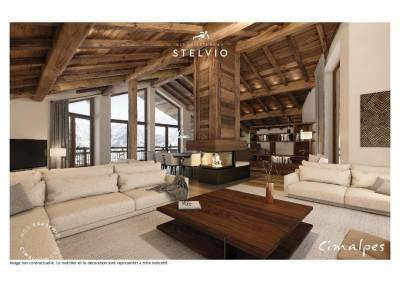 Discover a refined atmosphere, in light tones, which emerges harmoniously chic. 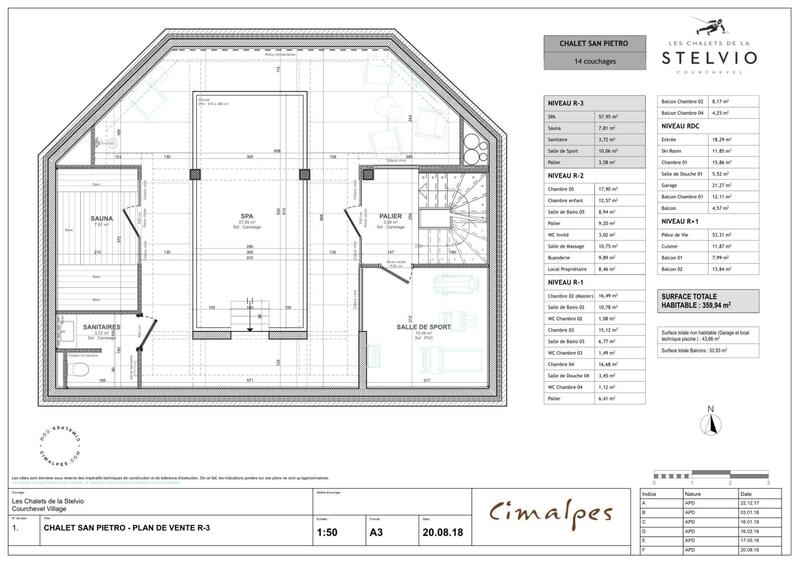 You will appreciate a sublime ceiling height and a magnificent central fireplace around which are organized different spaces. 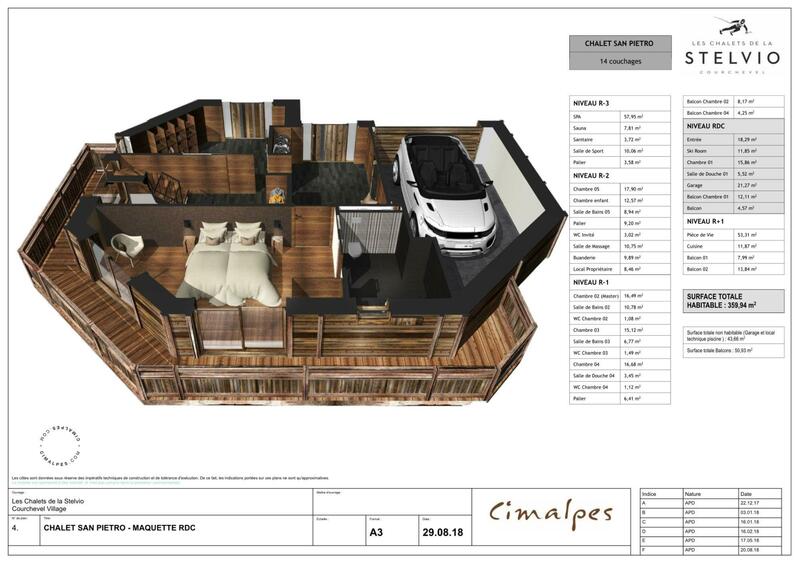 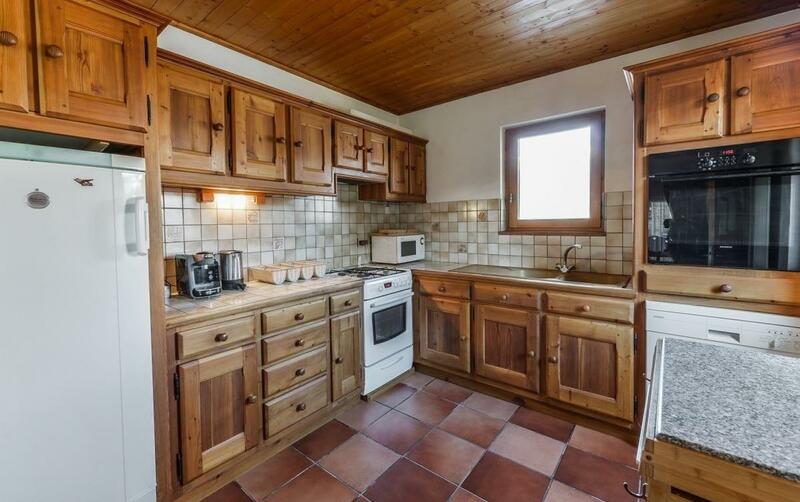 The massive wooden hood goes to the roof and gives character to the room. 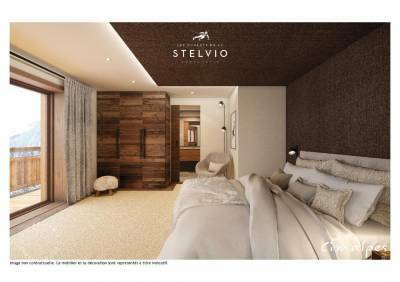 You will have the pleasure of finding yourself in the large lounge in a soothing atmosphere, where the hazel wood matches well with the light furniture. 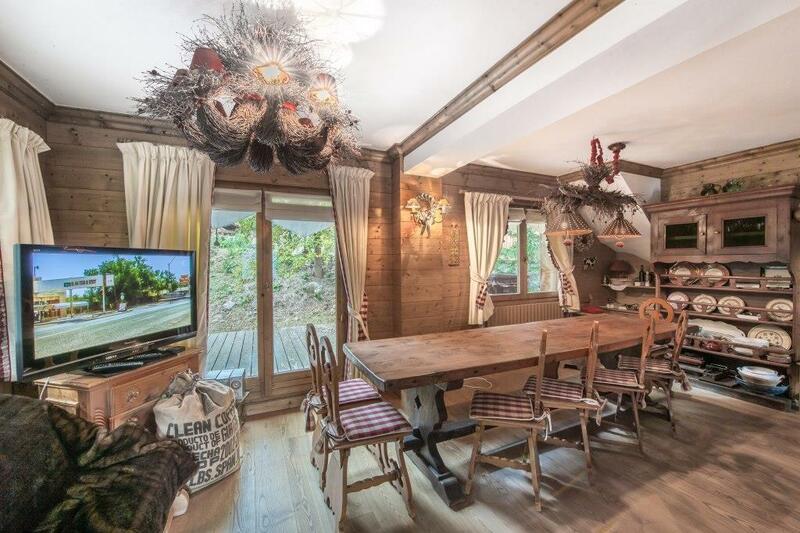 Find yourself around the fireplace, well settled in the sofas sofas, for a drink at the end of the day with your loved ones, while admiring the breathtaking view of the snowy valley of Courchevel. 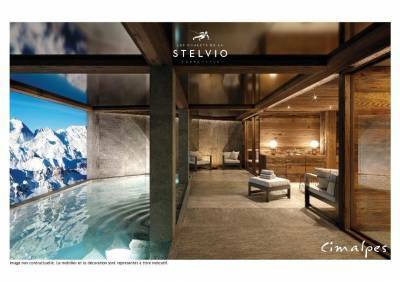 After a beautiful day outside, enjoy the sublime pool, illuminated by the magnificent panorama of snow-capped mountains, and enjoy the idyllic, soothing, and dedicated to your well-being. 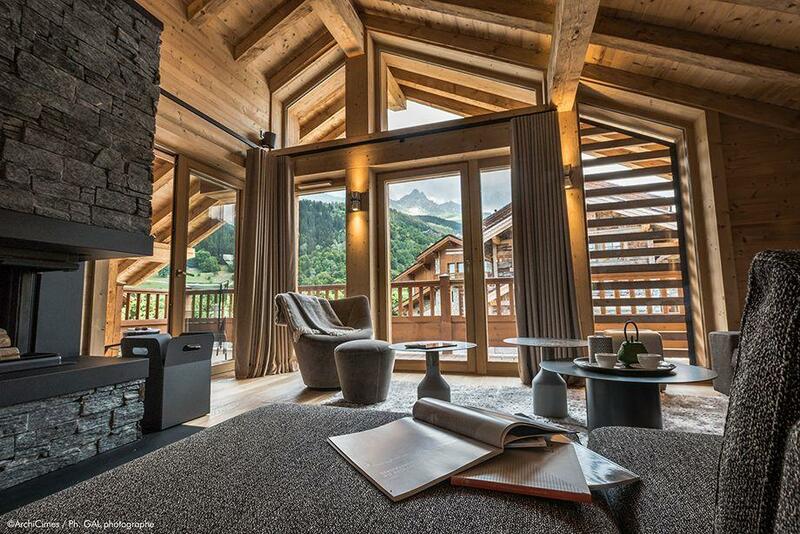 In its 359.94 m² and 5 bedrooms you can welcome family and friends and spend unforgettable moments in this real mountain cocoon.